Cambridge or toothed ring rollers made by APV are the perfect implements for professional grassland and field operations for improving the soil closure and thus the seed germination. Both types of rollers can be used perfectly well in field and grassland operations, achieving a good, crumbly seedbed structure, as well as optimal reconsolidation. 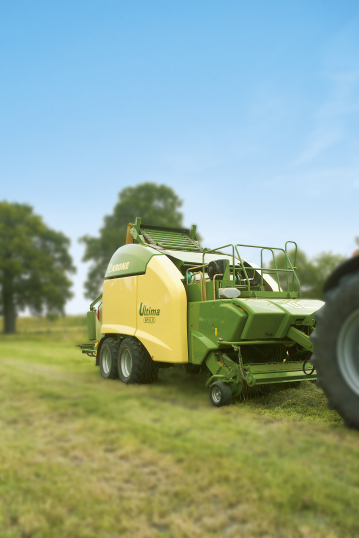 Fleming Agri-Products have developed a range of hydraulic lifting, water ballast landrollers and are currently the market leaders in the UK and Ireland. The Hydraulic Lifting Roller is available in 2.5 (8ft) and 2.7m (9ft) models with 740mm (30inch) and 890mm (36 inch) dia drums with 12-16mm wall thickness. – the manufacture and maintenance of golf course, sports pitches and grass turf production. All Drums Are Air Tested, Can Be Water Filled For Extra Weight & Transported Fully Laden. Has Heavy Duty Bearings For Long Life And Low Maintenance. 6 Stud Axle Hubs With 400 Tyres. Twin Rams And Scraper Blades As Standard. 75mm Steel Shaft With 6 Bearings Reducing Wear On Shafts and Easier Turning At Headland. Unique Fleming Swing Drawbars With Reinforced Hd Pivot points. Easy Change Over To Transport/working Position. Swing Drawbars/no Heavy Lifting. Fleming Agri-Porducts have been manufacturing landrollers for over 40 years.Designed initially for agricultural grassland and cereals, Fleming’s range of landrollers are now used on a variety of different land types from parkland and sports fields to horticultural use. In addition to the excellent, strip-wise reconsolidation effect, the Double Disc Roller, specially when in those heaviest of soils, achieves a very good crumbling. Furthermore it is characterised by its high carrying ability, good soil and trash passage and an optimum self-driving effect. It is completely insensitive to stones because, due to the large dead weight of the rollers, stones are pressed back into the soil. For the soil horizon, the Double Disc Roller leaves a rough soil surface and thus provides little vulnerability to capping and a good air and water exchange within the worked soils.